If your website isn’t responsive, it’s going to lose rankings. In April 2015 Google updated their algorithms to favour responsive web design and include mobile friendliness as a ranking signal. In other words – if your site isn’t mobile friendly you risk losing your Google rankings, not to mention clients and customers. But first – what is a responsive website? 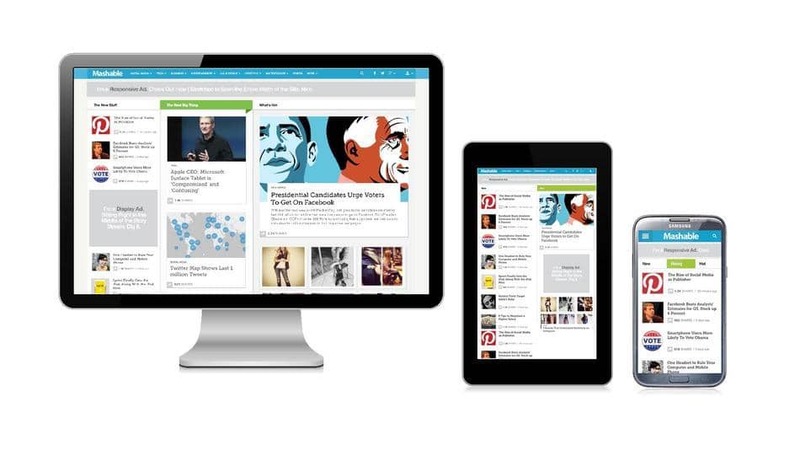 A responsive site adapts itself automatically to being viewed on a desktop, a phone or a tablet. This is important because more and more people are viewing the web from small devices like their smartphones, so if your website doesn’t adapt to the small screen size you’re going to lose viewers. The Google update is an official acknowledgement of the takeover of the web by mobile devices. In fact, reports indicate that 2015 was the year mobile actually overtook desktop as the primary vehicle for online searches. I thought I was covered with one of my main sites because I knew it was built with a premium WordPress theme that was responsive, but then I found the site would only display properly on a desktop screen. What went wrong? I realised that I hadn’t updated the theme itself for quite a while, so it wasn’t the responsive version. Don’t let this happen to you. Check your website now. View your site on your desktop computer and simply drag the sides of your browser together so the viewing area narrows. You should see the elements of your web page rearranging themselves so that everything displays OK. You can try it right now with this page … just squeeze the edges together and see what happens. Now make sure the same happens with your site. The other way to check is to view your site on your phone or tablet. The text should be big enough to read easily and the menus should be accessible – sometimes they are grouped together in that icon with three horizontal bars. If you built your site with WordPress or other content management system, make sure your theme is up to date and that the latest version is responsive. If not, get a new theme! If your site was built by us, let us know and we will work with you to update it (this might mean buying and configuring a new theme). If you need help with any of the above, give us a call. OK, now go check your site and make sure it’s responsive.